Want to link your domain to your Adobe Portfolio? We can do that! Before we begin, be sure to get the IP addresses of your web server for your Adobe Portfolio. This link from the Adobe Portfolio Knowledge base will show you how. Adobe Portfolio offers two IP addresses, you will want to use both. Let's get started! 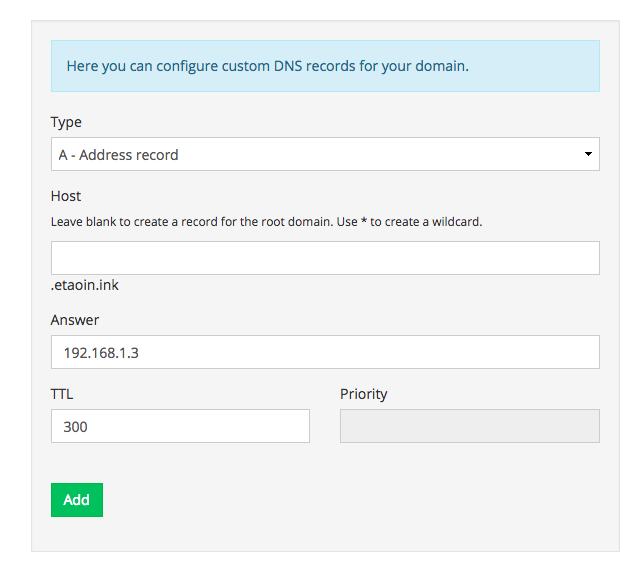 You will need to add four A records for your domain to work. Click the drop-down list to the far right of your domain. 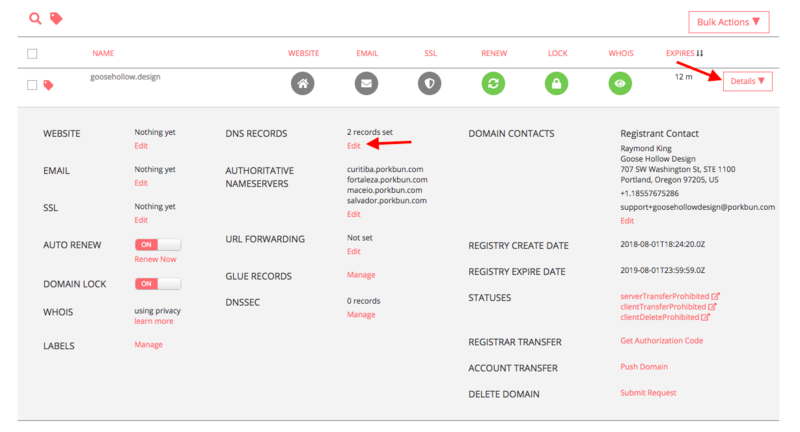 Then click the "Edit" option next to DNS records. On the Manage DNS Records screen, scroll down and locate the one or more A records that are currently pointing at the wrong web server. Click the trash can icons to the right of the bad records to remove them. 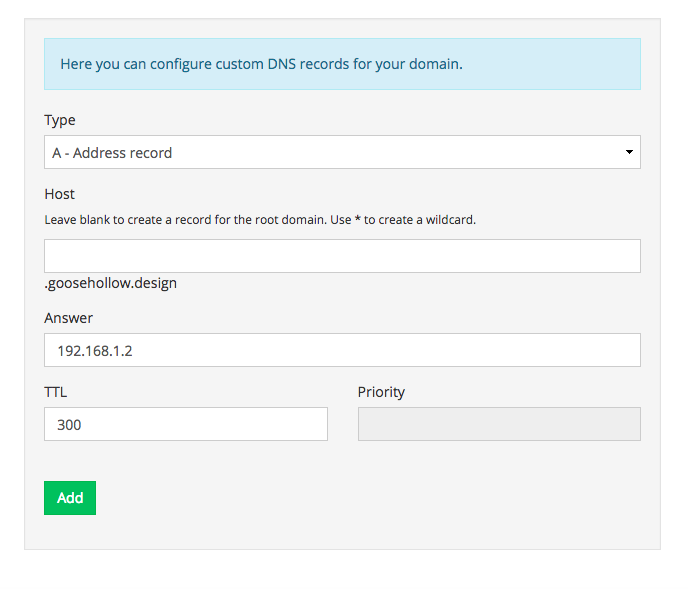 Scroll to the top of the Manage DNS Records screen, and enter the following information. Type is set to "A - Address record"
Answer is the first IP address listed in your Portfolio Settings. This article will help you find it. Host is set to "www"
Answer is the first IP address listed in your Portfolio Settings. Return to the Manage DNS Records screen. Once those fields are entered, hit add. 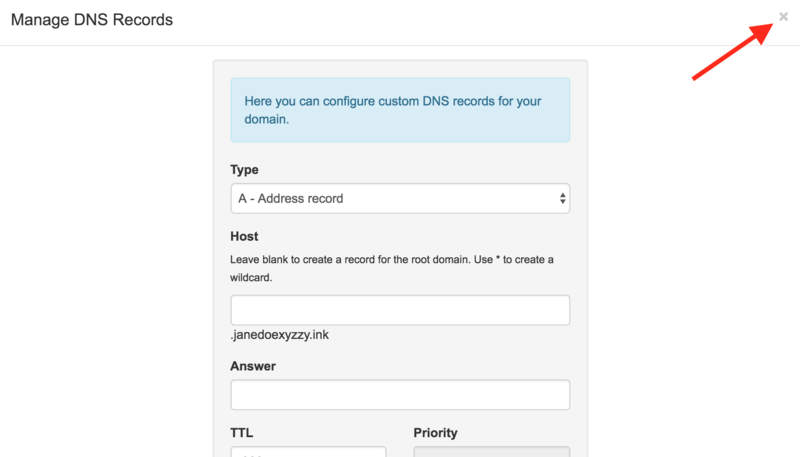 Click the X icon in the top right of the popup box to close "Manage DNS Records"
"Finally, enter your Custom Domain in the Portfolio editor, in Settings --> Domain Name. Enter your Custom Domain and click "Apply". *Please enter the root domain (without www in front)."